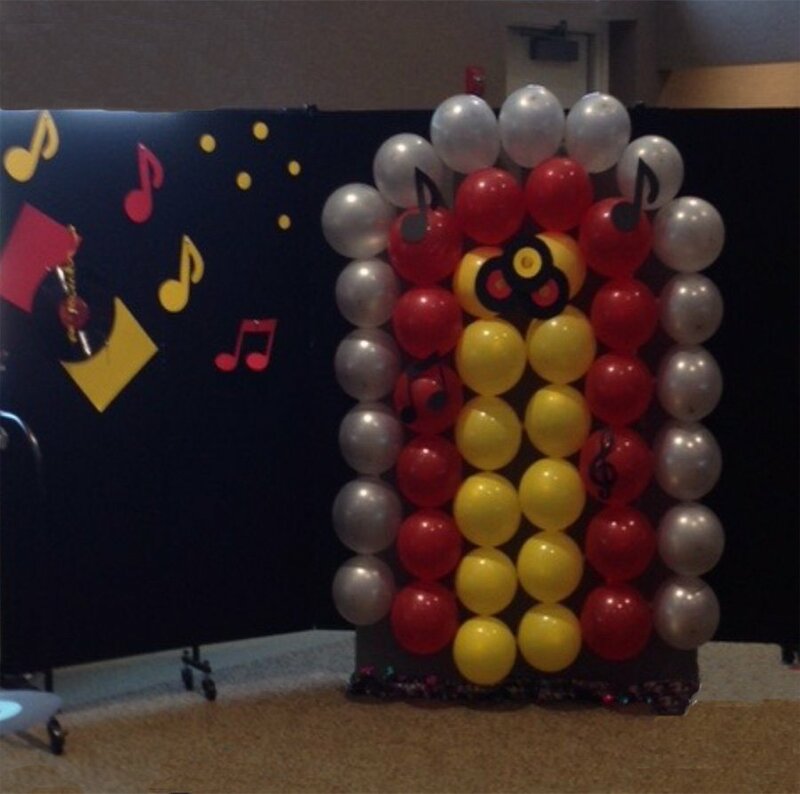 Uses: Art Display, Library, Other Markets, Party Room/Amusement Facility/Attraction Colors: Black Lengths: 5 panel 9'-5" Heights: 6'-0"
“Hi, Lourdes – I just wanted to update you on some of the other ways that we have been utilizing our fantastic new screens and the packing boxes they came in when they were delivered. We recently had our Friends of the Library Annual Dinner where we recognize outgoing board members and we also invite all of our current members in this volunteer group that assists the library in so many ways. Our theme was “The Fabulous Fifties.” I have attached several pictures that show how we used the packing cardboard for the foundation for both our balloon jukebox and soda. These were then attached to the portable screens for support. 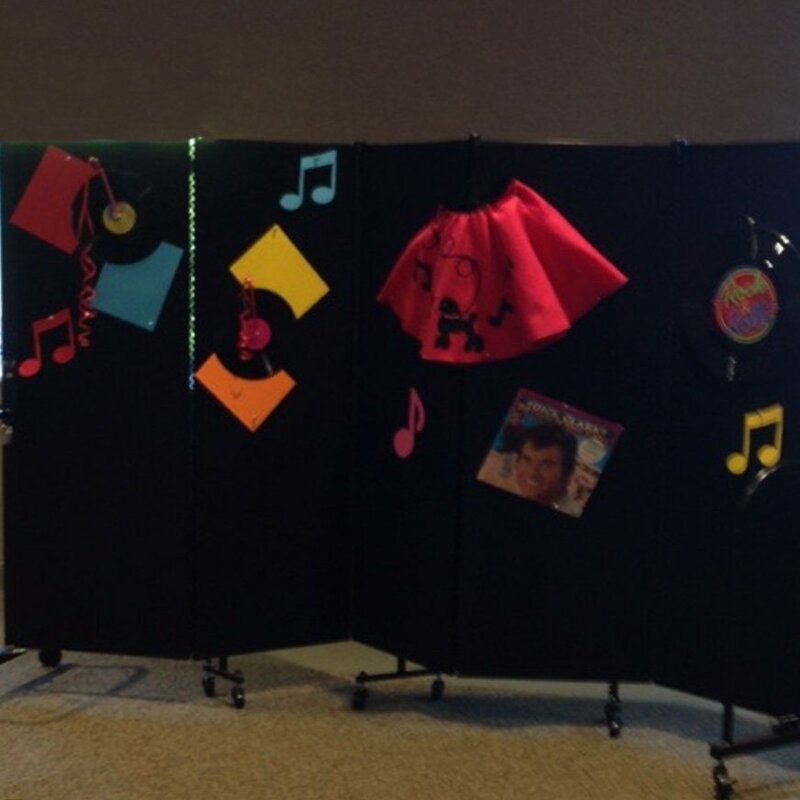 We also used one of the folding units to display old vinyl records and poodle skirts. Thanks, Gwen and The Laurel County Public Library for the kind words. Yes, we are blessed to live in America and our dividers are proudly made in the USA to boot. 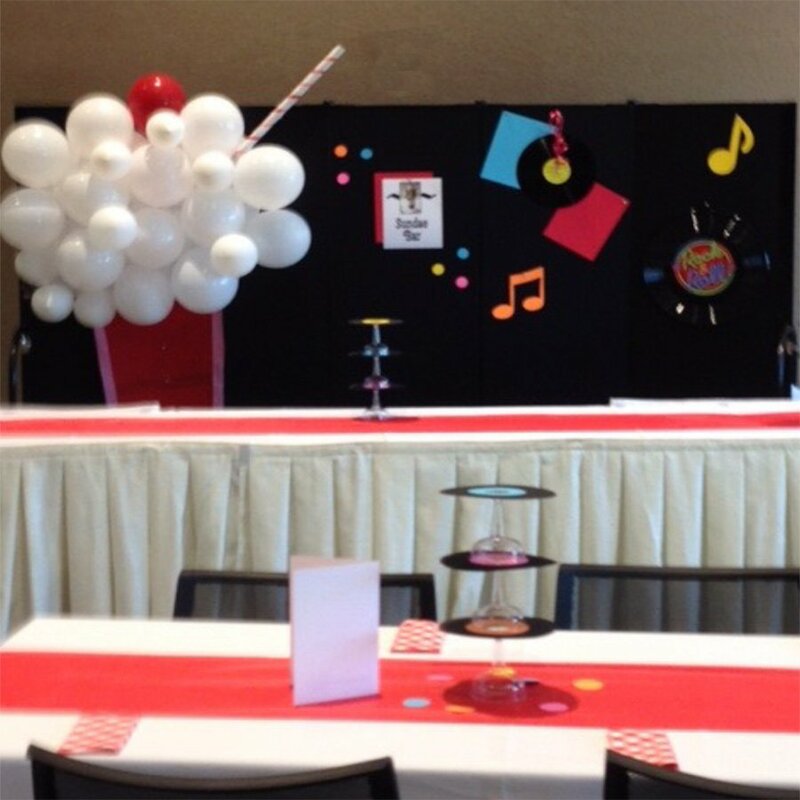 To view additional images from the Laurel County Public Library click here.